Lively and accessible, Market Research in Practice is a practical introduction to market research tools, approaches and issues. Providing a clear, step-by-step guide to the whole process - from planning and executing a project through to analysis and presenting the findings - it explains how to use tools and methods effectively and obtain the most reliable results. 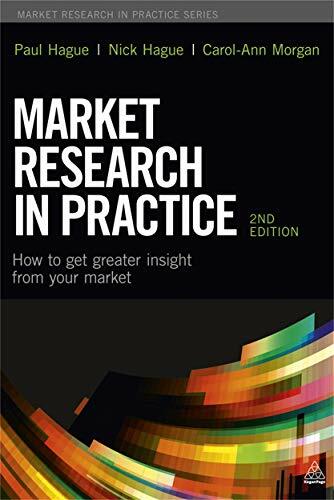 This fully updated second edition of Market Research in Practice features new chapters on the uses of market research (new product development research, market assessment, customer journey research, branding research, channel research, and pricing research), international aspects and new research trends (including coverage of social media research and mobile surveys). It also includes the latest information on carrying out market research design, desk research, sampling and statistics, questionnaire design, data analysis and reporting. Accompanied by a range of online tools and templates for reporting on and determining statistical accuracy, and supported throughout by examples from real market research projects, this is an invaluable guide for students, researchers, marketers and users of market research.